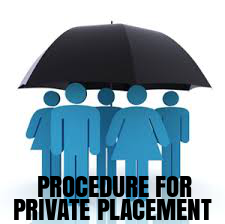 As per the provisions of Section 42(1) of the Companies Act 2013 without prejudice to the provisions of section 26, a company may, subject to the provisions of this section, make private placement through issue of a private placement offer letter. For the purposes of this section, the expression "Private Placement" means any offer of securities or invitation to subscribe securities to a select group of persons by a company (other than by way of public offer) through issue of a private placement offer letter and which satisfies the conditions specified in this section. 1. 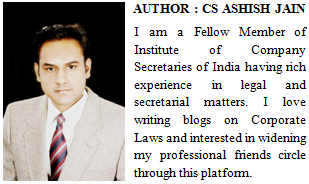 Decide the amount of capital to be raised through issue of shares under Private Placement Basis. 2. Obtain the Valuation Report from registered valuer. 3. Hold the board meeting and pass Board Resolution for convening the meeting of members and approving draft notice of meeting of members. 4. Hold the general meeting and pass the Special Resolution to approve draft offer letter. 5. Sent letter of offer in Form PAS.4 along with Application Form to the proposed subscribers. 6. File Form MGT.14 along with the fees as provided in the Companies (Registration of Offices and Fees) Rules, 2014, with the Registrar within 30 days of passing the resolution. 7. The explanatory statement annexed to the notice for the general meeting required u/s 102 shall disclose the basis or justification for the price (including premium, if any) at which the offer or invitation is being made. 8. If the said offer or invitation is for non-convertible debentures, it shall be sufficient if the company has passed a previous special resolution during year for all the offers or invitation for such debentures. 9. The offer or invitation shall not be made to not more than 200 persons in the aggregate in a financial year excluding QIBs and employees offered securities under ESOP. 10. The value of such offer or invitation per person shall be with an investment size of not less than 20,000 rupees of face value of the securities. 11. All monies payable towards subscription of securities under this section shall be paid through cheque or demand draft or other banking channels but not by cash. payments for subscriptions have been received and the monies payable on subscription to securities to be held by joint holders shall be paid from the bank account of the person whose name appears first in the application. 14. 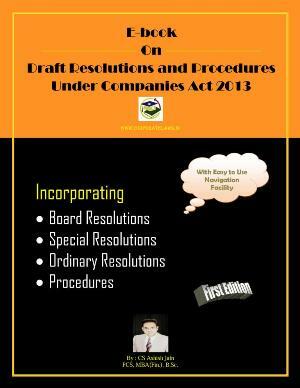 File form PAS-5 along with the private placement offer letter in Form PAS-4 with the Registrar with fee as provided in Companies (Registration Offices and Fees) Rules, 2014 and where the company is listed, with the Securities and Exchange Board within a period of 30 days of circulation of the private placement offer letter.